You have heard the old saying: "elephants never forget." While that may be a bit of an exaggeration, what better animal to associate with the massive archive at elephind.com which boasts a collection of well over 3 million historical newspapers. You can perform free text searches on historic digitized newspaper archives from around the globe. An elephant’s keen memory allows it to store massive amounts of information about its environment to help identify potential threats to the safety of its heard. Elephind grows its catalog by maintaining alliances with dozens of libraries around the world. Elephind consolidates the collections of their partners and makes them available at their website under one single search mechanism, eliminating the need to search each partner’s website individually. The site is popular with family researches looking for a no cost resource to aid them in understanding their ancestors’ lives. 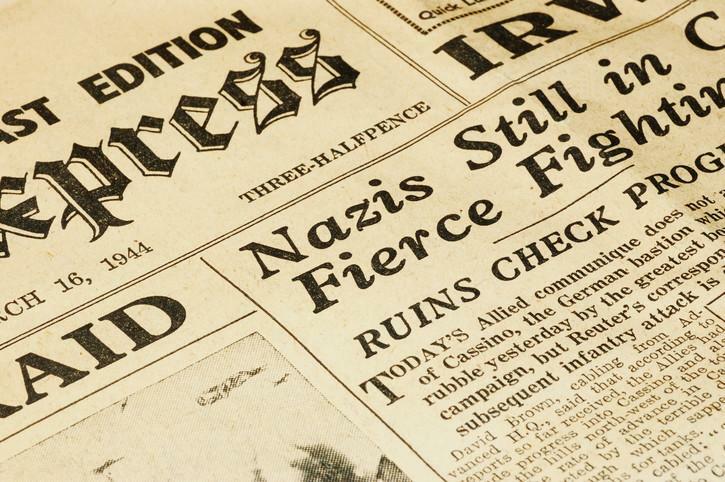 Newspapers are particularly valuable to the genealogy community because they can be used to fill in voids left by missing or destroyed official records. In addition, notices of births, engagements, weddings, obituaries, foreclosures etc. provide unique opportunities to discover details not normally included in government records. Elephind’s current holdings contain a sizable collection of Australian newspapers, so for those researching their Australian ancestors, this website may be particularly helpful to your research. If you want to limit your search to only U.S. newspapers, then you need to click the link for “advanced search” and choose United States from the country drop down list. Much the same as search engines like Google or Bing, you simply type a word or phrase into the search box and hit the search button to get an index of every paper in their vast collection that contains that text. Selecting one of the matches brings up an image of the paper with the search text highlighted in yellow. You can zoom in or out, navigate around the image or even move on to the next/previous issue. Every once and awhile, the optical character reader has a hard time reading a fuzzy newspaper image. It will mistake an i for an l or a j is for an i and you get a few bad matches. Looking beyond these character recognition mistakes, the website provides a powerful research tool for genealogists and family researchers. Putting double quotes around your search phrase allows you to search for an exact phrase. Also, putting OR between words will display any time either word is found. Terms can be excluded by putting – in front of it. Searching historical newspapers for references to your ancestors is a hit or miss proposition. The likelihood that your hometown newspaper is held by in one of the member’s collections may be a longshot. But since the site is free and very easy to use, there is no reason not to give it a try when researching your family names and places. Elephind.com’s stated goal is to make it possible to search all the world’s online historic newspapers from one place. Although they are not even close to meeting their incredibly ambitious goal, they continue adding more newspapers every day. If you are looking for more newspaper resources, consider reading Genealogy Guide to Historical Newspapers.